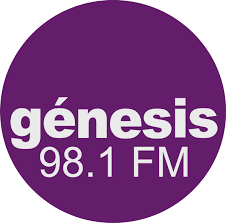 Genesis 98.1 FM en línea . XHRL FM is a radio station on 98.1 FM in Monterrey, Nuevo León. The station is owned by NRM Comunicaciones and carries a pop format known as Génesis 98.1. Address : Cuauhtémoc 725 NTE, 64000 Monterrey, Nuevo Leon, Mexico .